I love playing with my iPhone, I turn on my computer first thing every day to check my email and Twitter is my ‘social networking’ weakness but none of these compare with a good book. As the large stacks by my bed testify, you can’t beat books when it comes to entertainment. Monkey is reading a book but his friend wants to know what the book can do. Can it text? Blog? Scroll? Tweet? Where is the mouse? Does it make loud noises? No, it’s a book. Monkey’s friend makes the delightful discovery that a good book doesn’t need fancy electronic accessories. 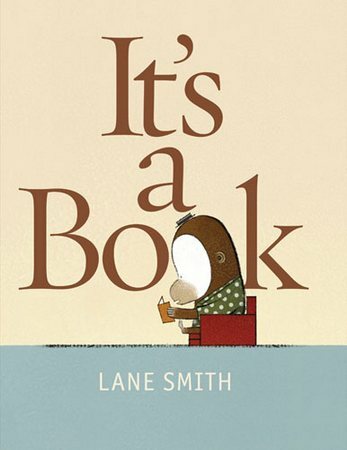 It’s a Book by Lane Smith is for lovers of books everywhere. Described as a ‘delightful manifesto on behalf of print in the digital age’, It’s a Book reminds us all of the simple appeal of a good book. So scroll down and watch the short You Tube clip about It’s a Book – it shows off Smith’s dry sense of humour, simple illustrations and endearing characters perfectly. You can order a copy of It’s a Book online now at Fishpond for $24.99.